Bigfoot, designed by Scott Almes and published by Game Salute, is comprised of 1 Bigfoot card, 1 Cryptozoologist card, 10 Lair cards, 36 Path cards, 3 Reference cards, 1 Round Tracker card, 1 Player Aid card, and 25 Footprint tokens. The cards are as durable as your standard playing card and the Footprint tokens are small, but thick pieces of cardboard. The illustrations by Brett Brooks (II) are humors and very well done. To set up the game, first determine who will play as Bigfoot and who will play as the Cryptozoologist. If this is the player’s first time playing Bigfoot, I suggest the more experienced player take on the role of the Cryptozoologist. Give one player their Bigfoot card and the other player their Cryptozoologist card. These cards are placed in front of the player. The Bigfoot card should show the “Awake” side face-up and the Cryptozoologists card should show the “Respected” side face-up. Give each player a “Turn Summary” Reference card at this time, as well. Note: The Cryptozoologist player might want to use a pen or pencil and some paper to help them keep track of the information they learn during the game. Second, give the Bigfoot player 24 of the Footprint tokens, setting 1 Footprint token aside for round tracking. Give the Cryptozoologist player the “Lair Tracking” Reference card. Third, set the Round Tracking card to one side of the game playing area and place the Footprint token on the “1” position. This token will be used to track the rounds of the game. Fourth, shuffle the 10 Lair cards and deal 5 to the Bigfoot player, face-down. 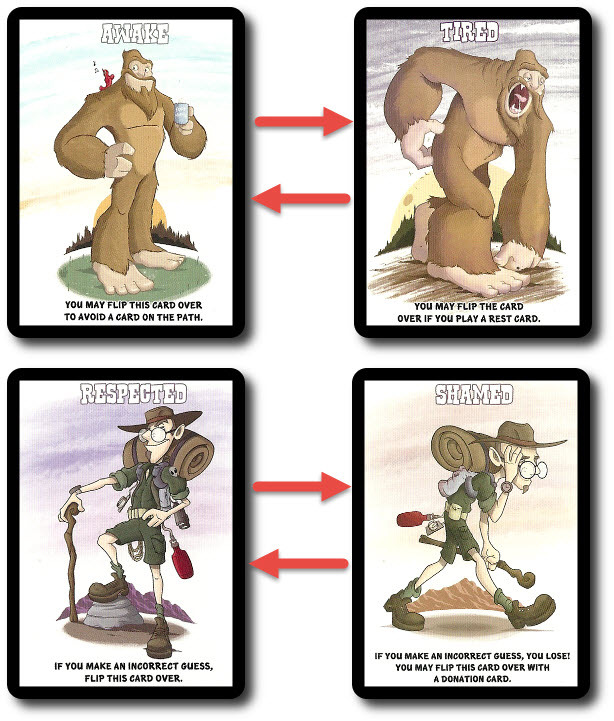 The Bigfoot player can look at these cards, but should keep them hidden from the Cryptozoologist player until played. Place the remaining 5 Lair cards face-down next to the Round Tracker card for use later in the game. Fifth, shuffle the Path cards and place them face-down next to the Cryptozoologist player. This is the Path draw deck for the duration of the game. Leave room for a discard pile next to it. That’s it for game set up, time to play a little hide and seek. 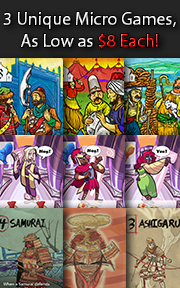 Each player is given a card the represents the character they will be portraying in the game. Specifically, Bigfoot or the Cryptozoologist. These cards not only serve to remind the player what their goal is, but they also keep track of the character’s current state. Bigfoot has 2 states. The first is the starting state, “Awake”. 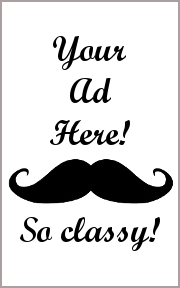 The Bigfoot player can flip their card to “Tired” to avoid detection. Cryptozoologist also has 2 states. The starting state is “Respected”. The Cryptozoologist player must flip their card to “Shamed” when they guess wrong. The only way to flip a card back is through specific Action Path cards. Bigfoot is played in 6 rounds. Each round consists of 5 steps. A typical round is summarized here. The Cryptozoologist player draws 6 Path cards and reviews them. The Path cards are divided into 2 subtypes. These are Action Path cards and Sensor Path cards. Action Path cards are divided into 2 sides on the card’s face. One side belongs to the Cryptozoologist player and the other side belongs to the Bigfoot player. These Path cards provide the player (based on their current role) an action that can be used during the game by playing and discarding the card. Action cards can be used right away when they are collected or at anytime during the game when it makes sense to do so. 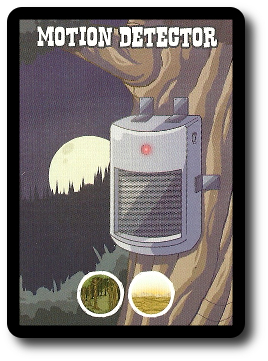 Sensor Path cards represent the equipment the Cryptozoologist uses to track and find Bigfoot. These include “Audio Recorder”, “Camera”, and “Motion Detector” Sensor Path cards. These cards help the Cryptozoologist, but only if Bigfoot stumbles across them. The Cryptozoologist will now create two card rows using the Path cards. Each row is referred to as a “path”. Cards are played to paths face-up. A path must consist of at least 1 Path card and all 6 of the Path cards must be used. It’s up to the Cryptozoologist to determine how best to create the paths in hopes of learning as much as possible about Bigfoot’s whereabouts. The Bigfoot player now reviews the 2 paths and decides which one they will take. The other path belongs to the Cryptozoologist. Players are welcome to take cards from the paths if they need a better look, but they cannot remove cards from the paths at this time. First, each player collects the Action Path cards from their selected path and places them in front of their play area, face-up. Action Path cards are never kept hidden in the player’s hand. If the Cryptozoologist player owns a path that holds 1 or more Sensor Path cards, those cards are now discarded. The only thing the Cryptozoologist captured evidence of was deer, squirrels, and themselves walking in the forest. If the Bigfoot player owns a path that holds 1 or more Sensor Path cards, this just got interesting for the Cyrptozoologist. If the Bigfoot player’s Bigfoot card is showing “Awake” face-up, they can flip it over to “Tired” to cancel 1 Sensor Path card, discarding it. 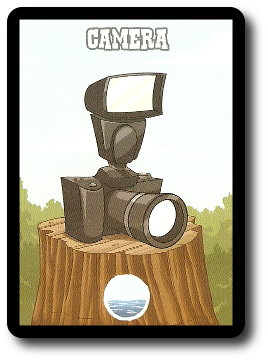 The Bigfoot player looks at the Terrain symbol on the “Camera” Sensor Path card and then looks at their Lair cards that have not been discovered. For every Terrain symbol on the “Camera” that matches an undiscovered Lair card, the Bigfoot player places 1 Footprint token. 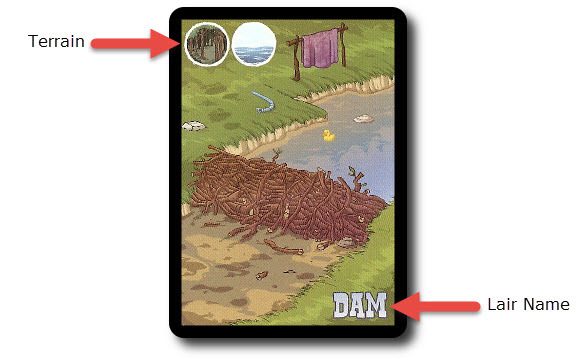 For example, if the “Camera” had the “Water” Terrain symbol, the Bigfoot player would place 1 Footprint token on the “Camera” for every Lair card they had that also contained that symbol. The Bigfoot player repeats the same process with their Lair cards, but counts 2 Terrain symbols this time. Essentially, this is an improved “Camera”. The “Audio Recorder” is the Cryptozoologist’s best piece of equipment to find Bigfoot. This Sensor Path card lists 3 Lair cards by name. The Bigfoot player places 1 Footprint token on the “Audio Recorder” for each undiscovered Lair card that matches the Lair names listed. 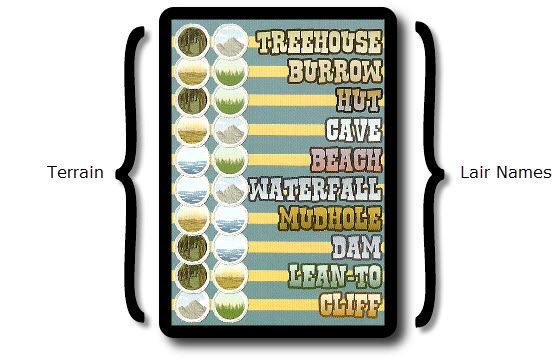 For example, if the “Audio Recorded” Listed “Lean-To”, “Mudhole”, and “Waterfall” Lairs, the player would place 1 Footprint token for each Lair card they had with the same name. Note: Guessing is optional. The Cryptozoologist player is never required to guess. If no guess is made, the round immediately ends. 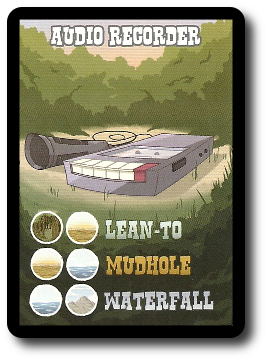 As the game progresses, the Cryptozoologist will start to collect more and more information about what Terrain symbols are shown on the Bigfoot player’s Lair cards. By using the Sensor Path cards, the Cyrptozoologist can start to deduce what Lair cards the Bigfoot player is holding. At first, the Cryptozoologist will be guessing based on very little information. As the game continues, the amount of information the Cryptozoologist will collect increases, making it easier to determine what Lair cards the Bigfoot player has. If the Lair card the Cryptozoologist guessed is being held by the Bigfoot player, it is given to the Cryptozoologist. Congratulations! The Cyrptozoologist is one step closer to corning the legendary creature! If the Lair card the Cryptozoologist guesses is NOT being held by the Bigfoot player, the Bigfoot player searches through the Lair cards next to the Round Tracker card, finds the guessed Lair card, and places it face-up next to the Round Tracker card. The Cryptozoologist has learned what Lair card the Bigfoot player doesn’t have, but at a cost. The Cryptozoologist player turns their Cyrptozoologist card from “Respected” to “Shamed”. If the Cryptozoologist player wants to, they can discard any Action Path card they might have and take a second guess. The second guess is handled just like the first. The round now ends. All Footprint tokens are removed and returned to the Bigfoot player, “Sensor” Path cards are discarded, and the Footprint token is moved to the next round on the Round Tracker card. The game can end several ways. If the 6th round ends and the Bigfoot player still holds at least 1 undiscovered Lair card, they win the game. If the Cryptozoologist makes an incorrect guess when their Cyrptozoologist card is “Shamed”, they lose the game. If the Cryptozoologist guesses all 5 of the Bigfoot player’s Lair cards, they win the game. If you like your games to be a bit more difficult or a bit easier, these game variants might be to your liking. This game variant increases the difficulty for the Cryptozoologist by reducing the total number of Path cards in play during each round to 5. This game variant gives the Cryptozoologist 6 Path cards to use, but they are placed face-down when the paths are created. The Bigfoot player must select which path they will take without knowing what each path contains, but nor does the Cryptozoologist! Talk about walking lost in the woods! Reveal the paths when selected and play as normal. To learn more about Bigfoot, visit the game’s web page. Depending on what side of the table the Child Geeks were sitting on, they either liked Bigfoot or thought it was boring. When playing as Bigfoot, the Child Geeks were keenly aware that they weren’t doing much. For the younger Child Geeks, this was just fine and they enjoyed participating. For the older Child Geeks, they found the Bigfoot role to be uninteresting. According to one older Child Geek, “All I’m doing is picking cards, playing a few to stop the Cryptozoologist, and hoping that the game runs out of rounds.” If we go to the other side of the game, all the players enjoyed the role of the Cryptozoologist. The younger Child Geeks were oftentimes frustrated, however, and it took a few games until they started to figure out how to use the information they learned. 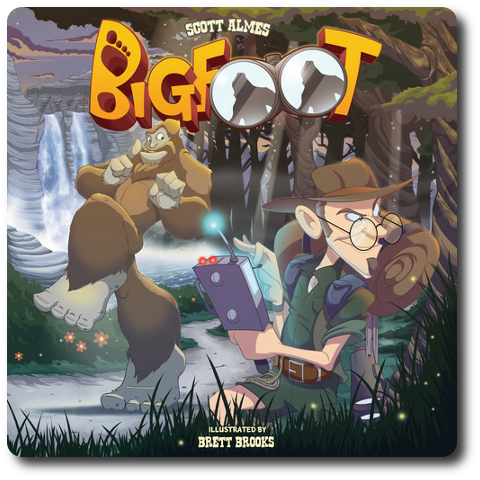 According to one younger Child Geek, “This game is hard at first, but you need to make mistakes to learn where Bigfoot is hiding.” As a result, the game was given a mixed approval, where the Child Geeks thought the game was so-so as Bigfoot and a fun challenge as the Cryptozoologist. The Parent Geeks felt the same way about Bigfoot at first until they started to play the Action Path cards like ninjas. According to one Parent Geek, “Ah, I see! So as Bigfoot I can really slow down and confuse the Cryptozoologist! I like that!” Another Parent Geek said, “This game can be pretty easy as long as you are chasing a dumb Bigfoot. Unfortunately, I’m not.” The Parent Geeks quickly learned that Bigfoot’s biggest weapon was delay. If they could reduce the amount of information the Cryptozoologist could gather each round, they could make it more difficult to know what Lair cards to select. Since the Cryptozoologist is never forced to guess, they can pass to the next round, but doing so reduces the number of times they can guess. The longer Bigfoot can keep the Cryptozoologist in the dark, the better the odds that Bigfoot will win. All the Parent Geeks liked this and found Bigfoot to be a fun game with their peers and with their kids. They fully approved the game. The Gamer Geeks found Bigfoot to be so-so at best. According to one Gamer Geek, “It’s a neat idea, but I feel like the game puts more focus on the Cryptozoologist than the Bigfoot player. This made me feel like I wasn’t doing much other than just making the game harder for my opponent.” Another Gamer Geek said, “I don’t see how you can’t win in this game as the Cryptozoologist. If you make paths that always give you information regardless of what smoke bombs Bigfoot throws at you, you can start to figure out the right cards pretty quickly.” The game was not as easily won as the Gamer Geek suggested, however. Bigfoot beat the pants off the Cryptozoologist many times. The Gamer Geeks liked this, but never enough where they thought it was a good enough game for all them. As one Gamer Geek put it, “This is a great game of deduction for casual play, but not for a gamer like me. Still, I’d play it again.”. I’m with the Child Geeks and the Gamer Geeks on this one. The game feels a bit one-sided at times and I never felt satisfied when I played as Bigfoot. Sure, as Bigfoot you can do a lot of hamstringing, but you cannot bluff and you most certainly cannot lie. That means the best you can ever do is slow things down. In the end, Bigfoot felt like a solitaire game that required a second player in order to make it work. And yet, I like playing it with my little geeks a great deal. Bigfoot is a great introduction to Deduction games. These types of games can be really frustrating to the Child Geeks because of the complex and subtle metagame that is all but invisible underneath the game’s surface. Bigfoot changes the metagame to card actions, making it easy to see what’s going on but not always why. This, in turn, makes it a lot easier to teach when you can point out visible, but not always obvious, game strategies. This is especially helpful for the Child Geeks who can play as the Cryptozoologist and their partner can play as the Bigfoot, helping them along and talking them through their choices. It also serves as a good filler for 2-players when you have some time to kill but not a lot of space to play a game. If Bigfoot sounds like an interesting game to you, do search it out and give it a try. 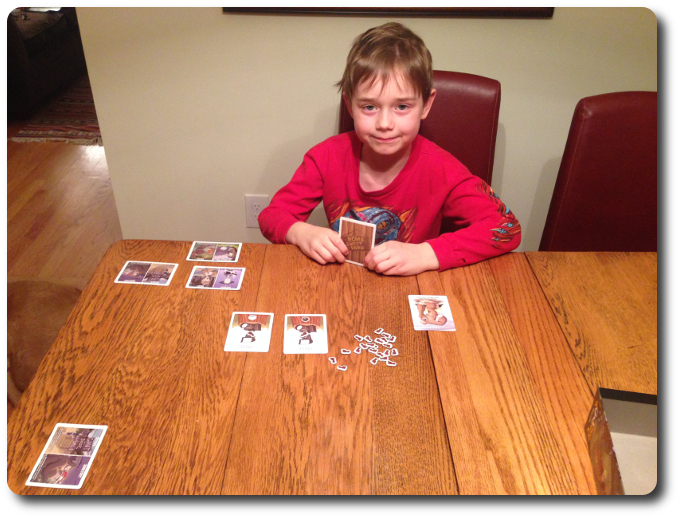 Tagged Card Games, Deduction Games, Parent Geek Approved. Bookmark the permalink.